If you are a snorer, you may assume that surgery is your only option to get relief. Fortunately, it’s not. Many people are able to reduce or eliminate their symptoms by wearing a snoring mouthpiece. SnoreRx is our top-rated mouthpiece for comfort, effectiveness, and price. Surgery is painful and definitely not without risk. It should be reserved as a last resort, but it is good to be educated on all your options. If you are looking for the least invasive surgical option, the Pillar Procedure is it. It’s done under local anesthesia in your doctor’s office and takes about 20 minutes. Five polyester fiber pillars a little under an inch long are inserted vertically into your soft palate. Within 3 to 12 months, hard scar tissue forms, thereby stiffening the soft palate to reduce vibration. It is not recommended for individuals significantly overweight. Although complications are minimal there are some to note, including sore throat, difficulty swallowing, and an uncomfortable feeling. In some cases an implant may protrude through the tissue and need to be replaced or removed. This procedure is along the same concept as the one mentioned above, only an electrical current is used instead. A special device shrinks and stiffens the uvula and soft palate. It takes a few minutes and recovery time is generally less than three days. A sore throat is the most common complaint. Snoring symptoms are generally reduced within four months, but additional treatments may be needed for desired results. Thank goodness you don’t have to actually be able to pronounce the procedure, right? UPPP is considerably more invasive than the two previous procedures. To widen the airway, parts of the uvula, adenoids, tonsils, soft palate, and pharynx may or may not get removed. Recovery is generally three weeks, and you can expect to experience pain and swelling. 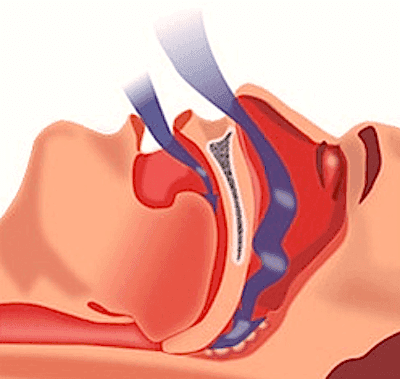 If the obstruction causing snoring is due to enlarged adenoids or tonsils, one of these procedures may be performed. Sometimes, they are both removed. The procedure is done under general anesthesia. Recovery time is generally around two weeks. Sodium tetradecyl sulfate or some other type of hardening agent is injected into the soft palate. Blisters form within a few days, which harden the area. Discomfort is typically experienced for several days. With any procedure it is important that you talk to your doctor about all risks. Understand that no surgery is guaranteed, and be sure that you know everything you need to know about pre- and post-surgical care.